Fourth of July is one of my favorite holidays, for so many reasons. Last year, I co-hosted a backyard tailgate party with my good friend Heather. This year, I have a newborn so our options are a bit limited in terms of fanfare and fireworks. I will still be celebrating, just in a more low-key way. 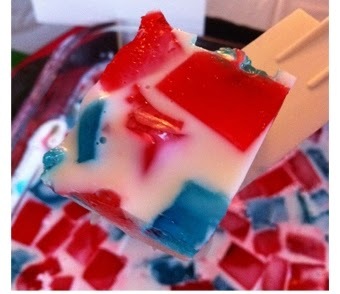 I won't be making my famous red, white and blue jell-o shot squares but maybe next year. If you make them, let me know how they turn out. I hope everyone has a great weekend! !